I like QR codes just like everyone else, but sometimes its not always easy trying to find a way to use them in your classroom. Recently, the leadership at our school requested that everyone use QR codes in some sort of way. Now, I was not into just using QR codes just to display them, I had to make them useful. 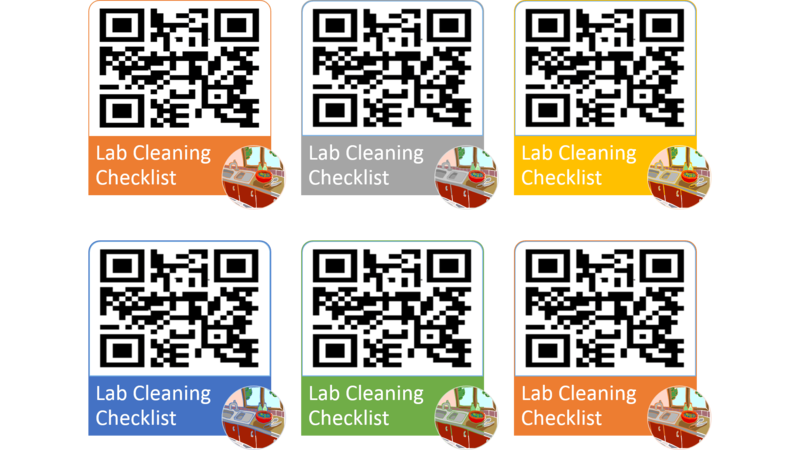 Introducing QR codes check lists! These QR codes are attached to check lists that the students have to complete at the end of every lab. The lists ensure that the students have cleaned everything properly and also turned off and put away everything that has been outlined in the lab rules and procedures rulebook. At the end of each lab, I am able to walk through the lab and make sure that everything is done correctly. The students feel as though they have done everything correctly because they have a digital list that informs them of everything that must be done in order to receive a proper grade for the lab. Here are some other creative ways to use QR codes in the classroom as well. Short cut to resource websites-Instead of having students copy long links, put up a QR code that they can scan that will take them directly to the website. You could also create an entire sheet of resources for certain projects or standards or topics. Links to videos that explains concepts deeper “Need more help? SCAN THIS! !” Can be included on worksheets, project sheets, in front of textbooks, etc. Surprise food labs– Have students come in and take a bag with ingredients. They can then scan the code on the bag to receive the recipe to complete for the lab. Directions/Exemplars of projects-Assign a project and include a QR code that shows examples of exemplary projects so that students will know exactly what you are looking for. Worksheet info– For example, don’t want to make a lot of copies, create a QR code that links to the necessary articles, images of textbook pages, or more that the students would need in order to complete the assignment. A great example would be a QR code that goes to a variety of nutrition labels for completing an assignment. Finally, don’t forget to let your students create QR codes as well to show either steps in their projects, recordings of them showing their understanding of projects and/or standards and more! The possibilities are endless! 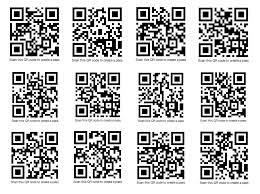 What are some ways you use QR codes in your classroom? Feel free to share!! I made a QR code this year that links directly to the class webpage. I laminated them and taped them to my tables. Now when I need students to view something on our iPads, I have them scan the codes and go to the class website for the resource. I love the lab ideas! Great idea and thank you! It’s all about shortcuts. As a FACS teacher, I too struggle with trying to find different ways to incorporate technology into my classroom that encourages a different kind of learning. 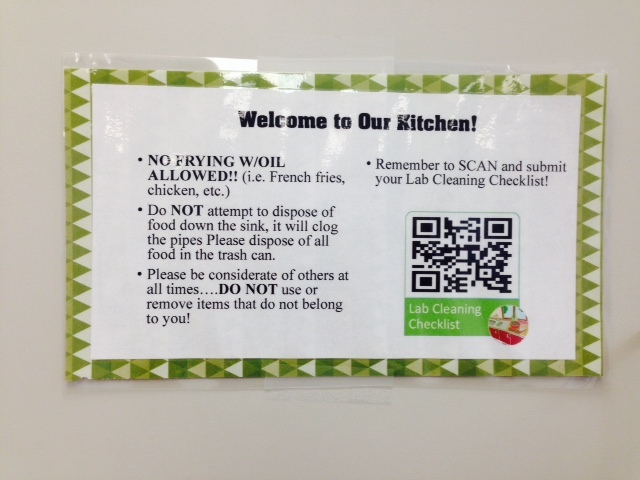 I like the QR codes idea for the mystery foods lab! Have you found any other uses for technology in our courses? Thank you! So you just made a google form and linked the QR Code to it? One person from each kitchen submits the checklist?